Resume Keywords Can Be Important! Find Out Why! 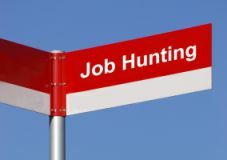 Resume keywords are an important consideration as you search for a new job. In today's automated environment, many companies are using ATS (applicant tracking systems) as a way to manage the volume of resumes they receive. These automated systems sometimes totally replace humans in the resume screening process. So, how do you get your resume to stand out from the crowd? When a hiring company is using an ATS, it is imperative that your resume keywords track the terminology used in the job posting. Keep in mind that an automated system is "scanning" for the right experience. If you're describing your work history in a way that does not mirror what the company is looking for, then there is no chance your resume will pass this screening process. You might very well have the experience needed, but if your terminology differs from what the automated system is looking for, you'll be out of luck. Likewise, if there is a human being doing the screening, your chances are slightly better if your terminology is not consistent with the job requirements. But, you're still hurting your chances. The resume screener may be a lower level employee who is not really reading your content - only looking for the buzz words the hiring authority is interested in. When you're applying to a job ad, pepper your resume with some of the keywords from the advertisement. If the company is looking for strong communication skills and experience in C-level sales, make sure that your Summary Statement includes these points...that is, assuming that you honestly meet these requirements! If you have trouble incorporating these keywords into your resume, you may be applying for the wrong opportunities! What we're suggesting here is that each resume you submit should be tailored to the position you're applying for. At a minimum, make sure your Summary pops with some of the key things the company is looking for. But, don't misrepresent your background. Find opportunities that are a good match to your skill set, and you'll have better success landing the interview.